U.S. home sales tumbled to their lowest level in three years last month and house price increases slowed sharply, suggesting a further loss of momentum in the housing market. The National Association of Realtors said on Tuesday existing home sales declined 6.4 percent to a seasonally adjusted annual rate of 4.99 million units last month — the lowest level since November 2015. Those are absolutely horrible numbers, but thanks to high interest rates they aren’t going to get much better any time soon. Just like a decade ago, this is going to be a very tough time to be in the real estate industry. Northeast: -6.8%, to an annual rate of 690,000. Midwest: -10.5%, to an annual rate of 1.19 million. South: -5.4%, to an annual rate of 2.09 million. West: -15.0%, to an annual rate of 1.02 million. Unfortunately, these are exactly the kinds of numbers that we would expect to see if the U.S. economy was heading into a recession. Stocks fell to their lows of the day after the Financial Times reported the U.S. canceled a trade meeting with Chinese officials. CNBC later confirmed the report through a source. White House economic advisor Larry Kudlow denied the reports, saying the meetings are not canceled, giving stocks a boost into the close. China and the U.S. are trying to strike a permanent trade deal with the U.S. Both countries have been in a trade war since last year, slapping tariffs on billions of dollars worth of their goods. We’ll see what happens, but the Chinese appear to be dragging their feet, and it does not look like there will be a major trade agreement between the two sides any time soon. 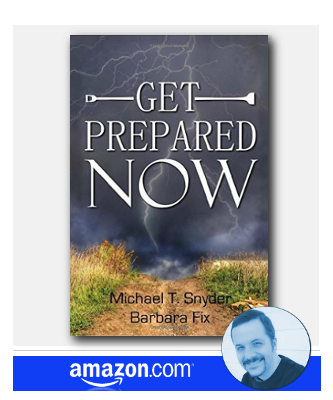 And when you throw in the fact that we are in the midst of the longest government shutdown in all of U.S. history, it becomes exceedingly clear that the elements for a “perfect storm” are definitely coming together. When the next recession comes, you will know who to blame. Every time the Federal Reserve has engaged in a rate hiking program since World War II, it has always ended in either a recession or a stock market crash. The Fed is the reason why the U.S. economy has been on a roller coaster ride for decades, and now we are steamrolling directly toward the “bust” portion of this cycle. If we ever want to end this madness, we need to abolish the Fed, and that means that we need to send people to Congress that are willing to take action on these things. Americans are not feeling very confident about the economy these days. Almost half (48%) of Americans say economic conditions are worsening, up from 45% in December and 36% in November, according to a recent poll by Gallup, a Washington, D.C.-based research and consulting firm. This is more evidence of the national psychological shift that I have been talking about. People are starting to realize what is happening, and they are becoming deeply concerned about what the future holds. Well, the truth is that things are going to get a lot tougher. But instead of getting down in the dumps about it, we need to prepare for what is ahead, and we need to be ready to implement some positive solutions in the aftermath of the coming crisis. The U.S. economy is definitely deviating from the script, and we just got more evidence that “Housing Bubble 2” is bursting. Experts were expecting that new home sales in the U.S. would rise in October, but instead they plunged 8.9 percent. That number is far worse than anyone was projecting, and many in the real estate industry are really starting to freak out. And to be honest, things look like they are going to get even worse in 2019. One survey found that the percentage of Americans that plan to buy a home over the next 12 months has fallen by about half during the past year. Mortgage rates have steadily risen as the Federal Reserve has been hiking interest rates, and at this point most average Americans have been completely priced out of the market. 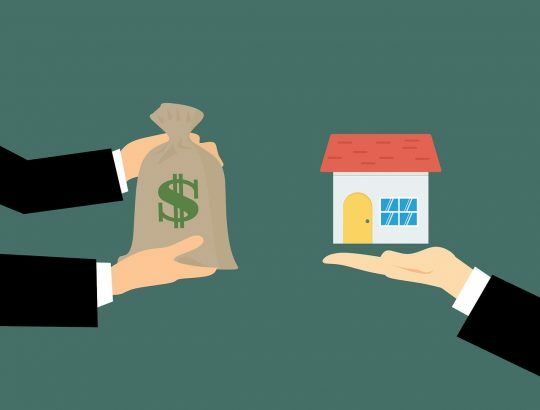 Home prices are going to have to come way down from where they are right now, and just as we witnessed in 2008, rapidly falling home prices can put an extraordinary amount of stress on the financial system. Sales of new U.S. single-family homes tumbled to a more than 2-1/2-year low in October amid sharp declines in all four regions, further evidence that higher mortgage rates were hurting the housing market. The Commerce Department said on Wednesday new home sales dropped 8.9 percent to a seasonally adjusted annual rate of 544,000 units last month. That was the lowest level since March 2016. The percent drop was the biggest since December 2017. But of course it isn’t as if this latest report is coming out of nowhere. The truth is that new home sales have fallen in four of the last six months, and so a very clear trend is now developing. Sadly, most mainstream economists still don’t seem to be understanding what is happening. According to Reuters, the consensus estimate was that we would see new home sales rise 3.7 percent in October, and so an 8.9 percent plunge came as a real shock. New home sales have now missed expectations for seven months in a row, and the similarities to 2008 are starting to become undeniable. Sales of previously owned U.S. homes posted their largest annual decline since 2014 in October, as the housing market continues to sputter due to higher mortgage rates that are reducing home affordability. If you want to blame someone for this mess, blame the Federal Reserve. They created a “boom” in the housing market by pushing interest rates all the way to the floor during the Obama years, and now they are creating a “bust” by aggressively jacking up interest rates at a pace that our economy simply cannot handle. If we had allowed the free market to be setting interest rates all this time, we would not be on such a roller coaster ride. One worrying indicator: The average debt-to-income ratio for mortgages insured by the Federal Housing Administration, which makes up about 22% of the housing market, is now at its highest level ever. This is yet another indication that we are even more vulnerable than we were just prior to the subprime mortgage meltdown during the last financial crisis. Let me try to shed some light on what is coming next. Even if economic conditions remained stable, housing prices would need to start falling dramatically in order to attract buyers. In fact, we are already starting to see this happen in southern California and other markets that were once extremely “hot”. As housing prices fall, millions of Americans will suddenly find themselves “underwater” on their mortgages. In other words, they will owe more on their homes than their homes are worth. 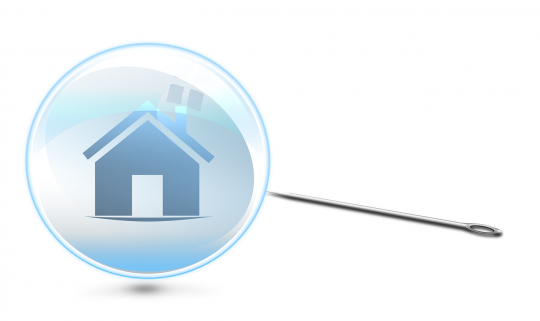 During the last recession, many “underwater” homeowners ultimately decided to walk away rather than continue to service ridiculously bloated mortgages. But the truth is that economic conditions are not likely to remain stable. In fact, many are projecting that the approaching downturn will be even worse than 2008. In such a scenario, millions of Americans will lose their jobs, and that means that millions of Americans will suddenly not be able to make their mortgage payments. As a result, mortgage defaults will skyrocket and home prices will drop like a rock. Just like last time around, there could be people that wake up one day and realize that they owe two or three times as much money on their mortgages as their homes are currently worth, and the stampede of people walking away from “underwater” mortgages could become an avalanche. Needless to say, millions of mortgages suddenly going bad is a scenario that our financial system is not equipped to handle. What happened in 2008 was absolutely catastrophic for our large financial institutions, and what is coming is going to be even worse. Of course the big financial institutions will want the federal government to bail them out, but there may not be much of an appetite for more corporate bailouts this time around. And considering the fact that we are already 22 trillion dollars in debt, we can’t exactly afford to be throwing money around. The Federal Reserve has set the stage for a giant mess, and it is going to shake the housing industry to the core. We should have learned from the mistakes that we made in 2008, but we didn’t, and so now we are going to pay a very great price for our negligence. What goes up must eventually come down. 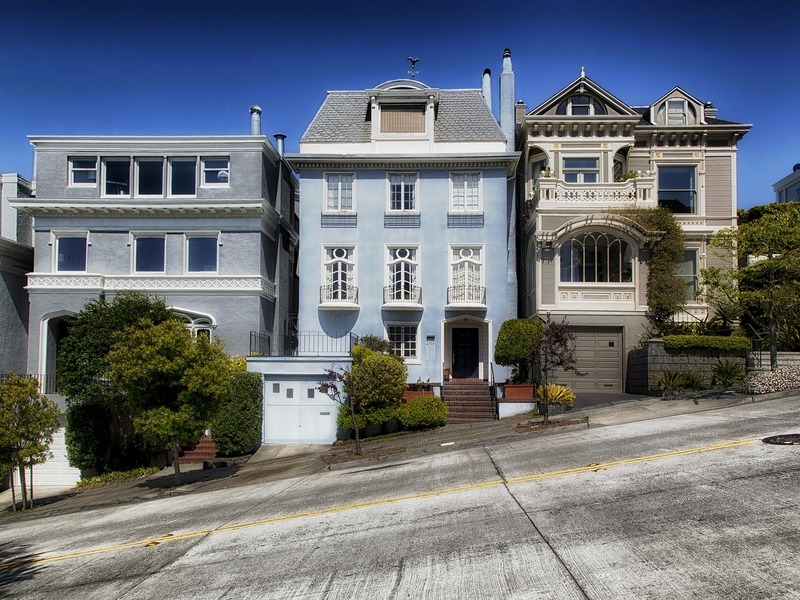 For years, the California housing market was on the cutting edge of “Housing Bubble 2” as we witnessed home prices in the state soar to absolutely absurd levels. In fact, it got so bad that a burned down house in Silicon Valley sold for $900,000 earlier this year, and a condemned home in Fremont sold for $1.2 million. But now things have changed in a major way. The hottest real estate markets in the entire country led the way down during the collapse of “Housing Bubble 1”, and now it looks like the same thing is going to be true for the sequel. 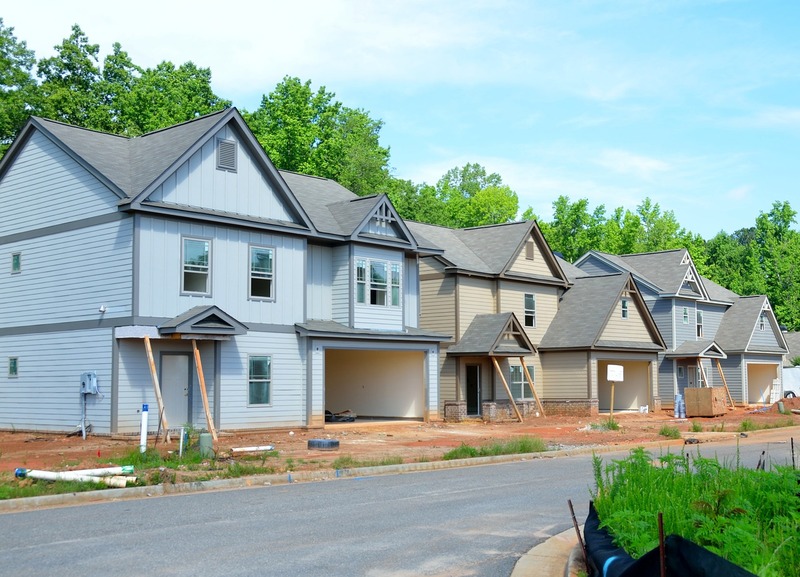 The number of new and existing houses and condominiums sold during the month plummeted nearly 18 percent compared with September 2017, according to CoreLogic. That was the slowest September pace since 2007, when the national housing and mortgage crisis was hitting. Sales have been falling on an annual basis for much of this year, but this was the biggest annual drop for any month in almost eight years. It was also more than twice the annual drop seen in August. Sales of newly built homes are suffering more than sales of existing homes, likely because fewer are being built compared with historical production levels. Newly built homes also come at a price premium. Sales of newly built homes were 47 percent below the September average dating back to 1988, while sales of existing homes were 22 percent below their long-term average. At one time, San Diego County was a blazing hot real estate market, but now the market has turned completely around. And it can be argued that things are plunging even more rapidly in northern California. Home sales in the San Francisco Bay area have been falling for months, but in September buyers pulled back in an even bigger way. Sales of both new and existing homes plunged nearly 19 percent compared with September 2017, according to CoreLogic. It marked the slowest September sales pace since 2007 and twice the annual drop seen in August. The California housing market posted its largest year-over-year sales decline since March 2014 and remained below the 400,000-level sales benchmark for the second consecutive month in September, indicating that the market is slowing as many potential buyers put their homeownership plans on hold. Existing, single-family home sales totaled 382,550 in September on a seasonally adjusted annualized rate, down 4.3 percent from August and down 12.4 percent from September 2017. September’s statewide median home price was $578,850, down 2.9 percent from August but up 4.2 percent from September 2017. Statewide active listings rose for the sixth consecutive month, increasing 20.4 percent from the previous year. Inventory reached the highest level in 31 months, with the Unsold Inventory Index reaching 4.2 months in September. September year-to-date sales were down 3.3 percent. New York City’s pricey real estate has become a “buyers market,” new data suggests, characterized by lowball offers and a rise in the number of properties staying on the market for longer. The latest figures from Warburg Realty show that among higher-priced homes, New York City is in the throes of a “major shift” that reflects a cooling market, the likes of which hasn’t been seen in almost a decade. “Offers 20 percent and 25 percent below asking prices began to flow in, a phenomenon last seen in 2009,” wrote Warburg Realty founder and CEO Frederick W. Peters in the report, which surveys real estate conditions around the city. In the final analysis, it is no mystery how we got to this point. During the Obama era, the Federal Reserve pushed interest rates all the way to the floor for years, and this caused “Housing Bubble 2” to become even larger than the original housing bubble. Now the Federal Reserve has been aggressively raising interest rates, and this is now busting the bubble that they created in the first place. So if you want to blame someone for this mess, blame the Federal Reserve. The Federal Reserve has created huge “booms” and “busts” ever since it was created in 1913, and hopefully the American people will be outraged enough following this next “bust” to start calling for real change. I have been calling for the abolition of the Federal Reserve for years, and there are many others out there that also want to return to a free market financial system. History has shown that free markets work exceedingly well once you take the shackles off, and as a nation we desperately need to return to the values and principles that this nation was founded upon. It is quite interesting that prices are being cut fastest in the markets that were once the hottest, because that is exactly what happened during the subprime mortgage meltdown in 2008 too. Of course the reason why prices are being dropped is because homes are not selling. The supply of homes available for sale is shooting up, and that is good news for buyers but really bad news for sellers.